Gareth Steenson kicks the penalty. Harlequins have won 120 rucks so far this game. Trouble here as Dave Ward breaches the defence. Luke Cowan-Dickie has made 10 good tackles so far this game. Julian Salvi has made 20 good tackles so far this game. Exeter make a substitution with Sam Skinner coming on. Harlequins sub Archie White comes onto the field. Ben Glynn departs for Harlequins. The touch judges raise their flags as Gareth Steenson kicks the conversion. 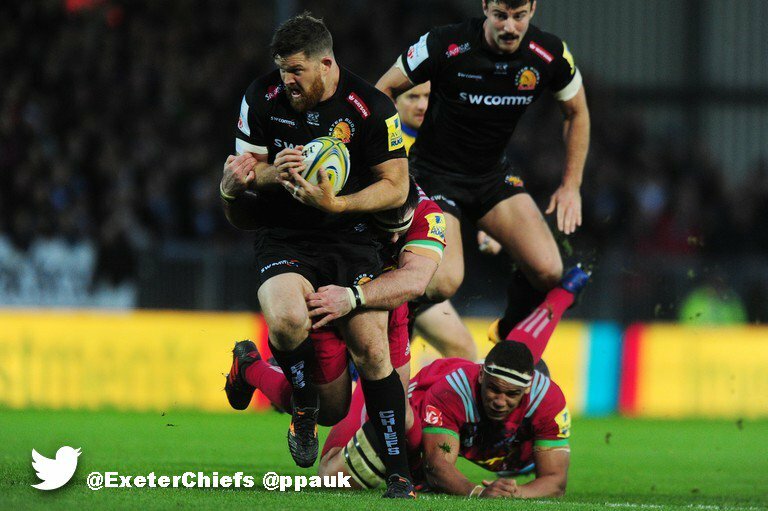 This is dangerous for the defence as Mitch Lees bursts through to advance the Exeter attack. 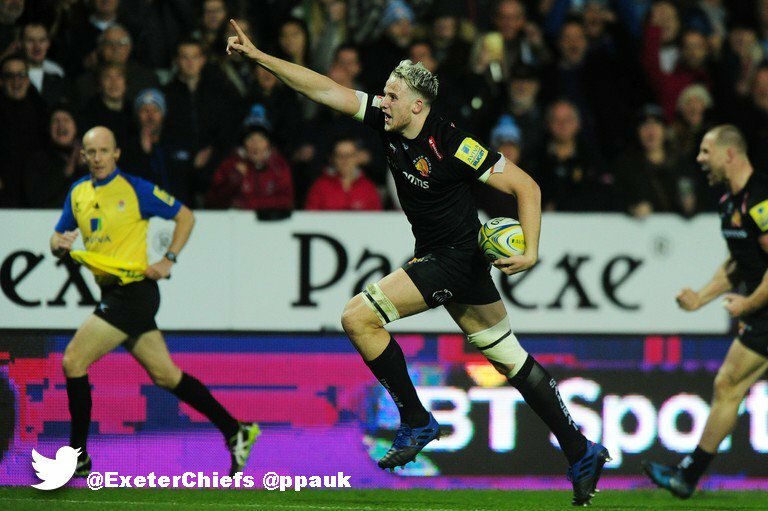 A wonderful passing move by Exeter is finished off by Jonny Hill. George Merrick comes on for Harlequins. Charlie Matthews leaves the field. Thomas Waldrom has made 20 good tackles so far this game. 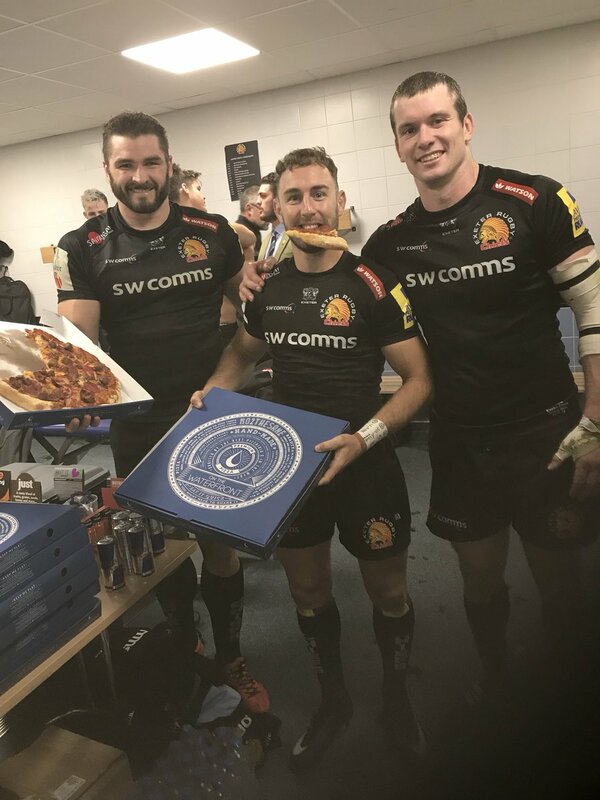 Exeter decide to make a substitution, with Luke Cowan-Dickie getting some game time. Harlequins make a substitution with Gabriel Ibitoye coming on. 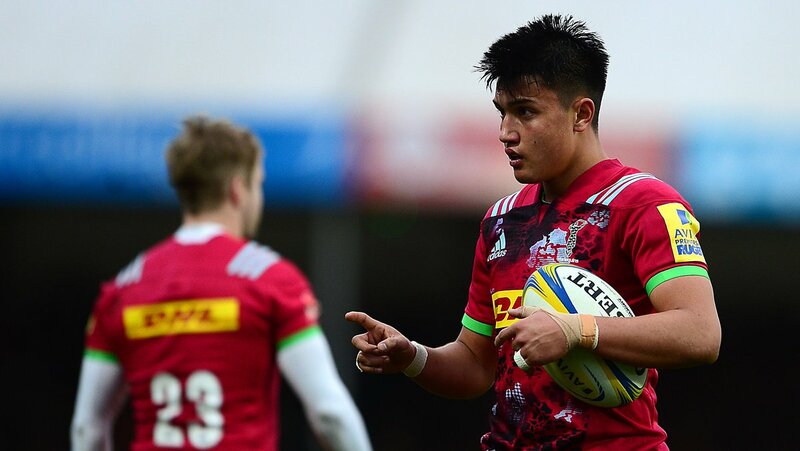 Harlequins make a substitution with Alofa Alofa coming off. What a run here by Marcus Smith as they gets over the gainline!. Tim Visser makes the break as the defence re-enacts the parting of the red sea. Try saving tackle made by Charlie Matthews. Harlequins sub Lewis Boyce comes onto the field. 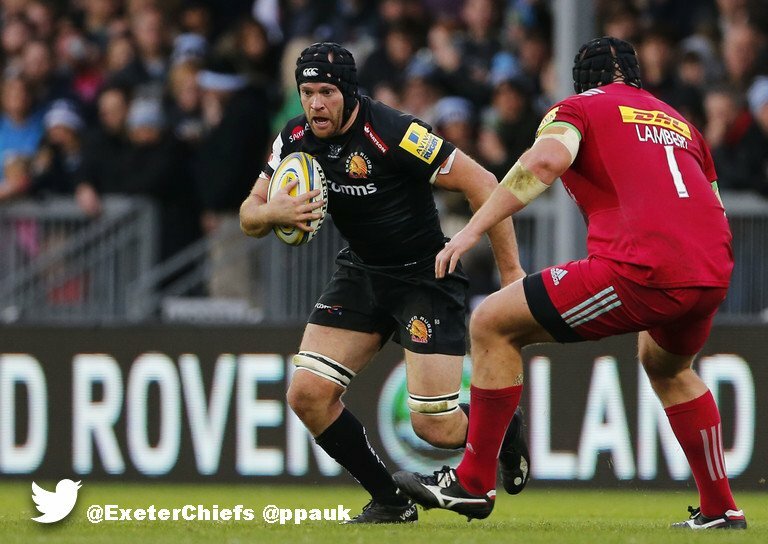 Greg Holmes comes on for Exeter. Moray Low leaves the field. 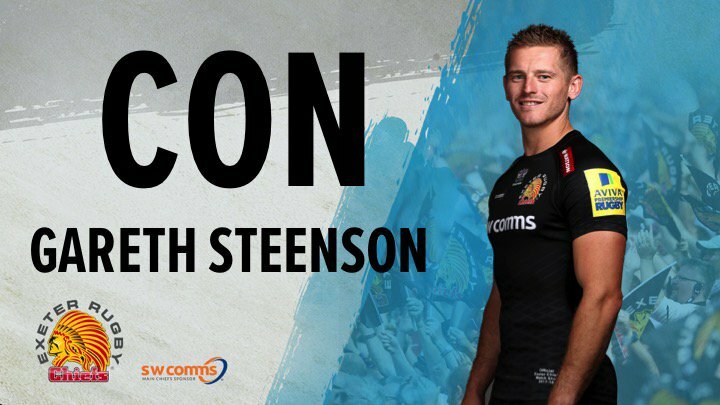 Gareth Steenson adds the two points for Exeter. 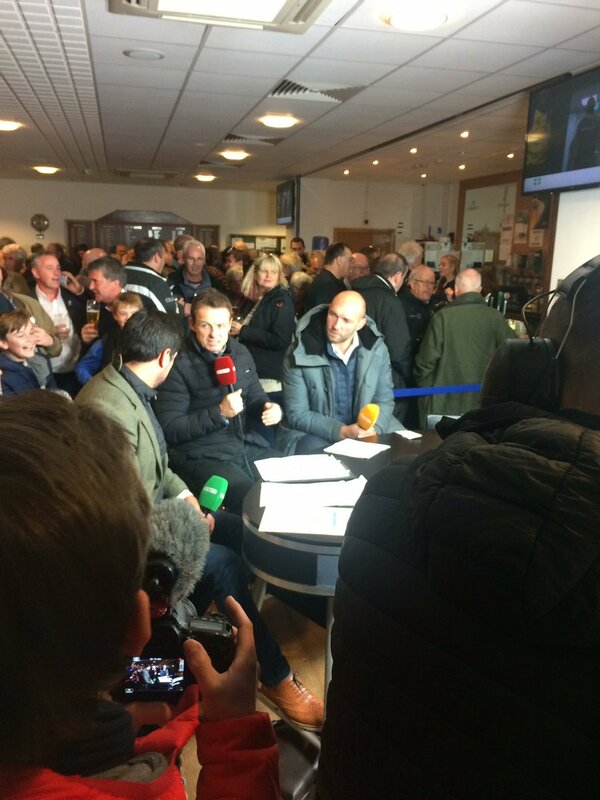 Exeter are only a few metres out, surely they must score! And they do with Jonny Hill touching down. Julian Salvi has made 10 good tackles so far this game. Fabulous play by Harlequins has led to Marcus Smith being able to wriggle through a gap. What a tackle there by Olly Woodburn as he saves a certain try!. Spellbinding play by Marcus Smith is finished off with a try. The kick through from Harlequins has allowed Tim Visser to touch down. Phil Dollman played a key part in that try. A series of passes by Exeter results in a try for Olly Woodburn. 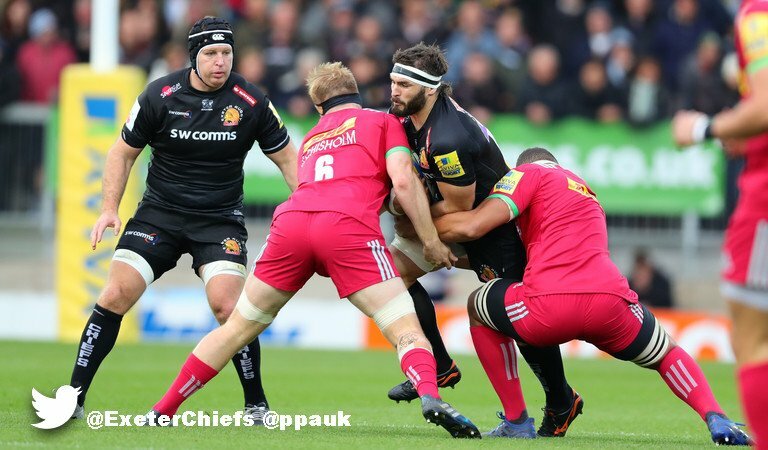 This is dangerous for the defence as Phil Dollman bursts through to advance the Exeter attack. That's a great try assist by Marcus Smith. A stunning solo try from James Chisholm. Phil Dollman sets up the try. Great hands by Exeter leads to a try for Lachlan Turner. 💬 "Disappointed that we didn't kick on after the first half we had, but there are positives to take from that"
💬 "Disappointed that we didn't kick on, but there are positives to take from that"
That was a great match for the neutral. 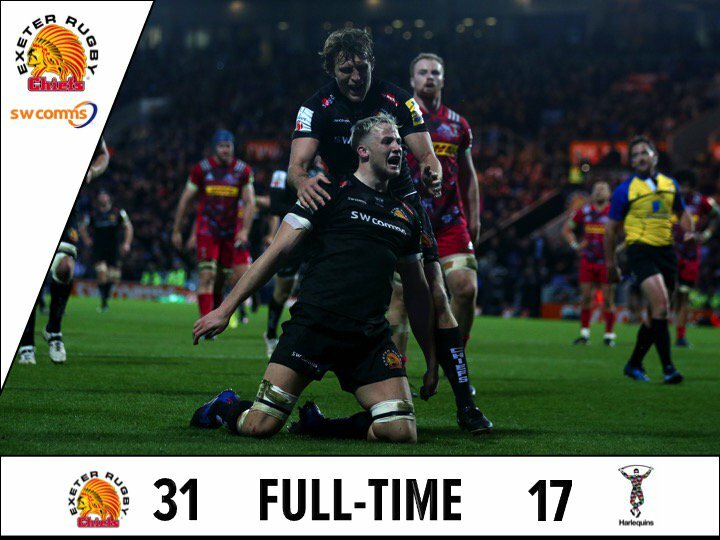 @Harlequins pushed us all the way - well played! 72 Quins turn to overthrow the 5m lineout. Scramble and Quins knockon. 70 Waldrom with a powerful run off the base, support a bit slow and Chiefs pinged. 70 Quins attack breaks down with a knock on. Chiefs scrum 30m from their line. RT @MarkArmand2: @CoryJill @ExeterChiefs I am in Bulawayo Zimbabwe following game and life changing political moment!! 65 Chiefs turn to keep the ball and hit the line hard. Woodburn LCD and Armand carrying well. Sloppy pass stops the attack. 59 That's another let off for Chiefs. The foot in touch was within the two phases leading to the try. Lineout Chiefs. RT @Mr_John_Harvey_: Most far-flung location of the day for listening to the @ExeterChiefs game?